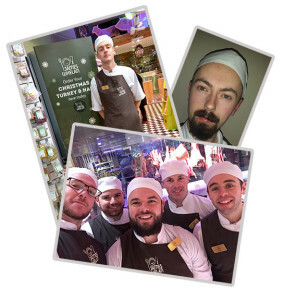 2016 was also fantastic for our team where we saw the first four graduates from the JWB Butcher academy. This was a very proud day for the business and I would like to congratulate Noel Sheehan, Noel Galvin, John McDonald, James Conmy and we look forward to many more qualifications in the years to come. We have created 25 new positions in James Whelan Butchers in 2016 and if this is your first Christmas with us I hope you’re enjoying the experience and settling in. To those of you who have been with us over the years and helped make James Whelan the great company that it is today, I thank you and appreciate the invaluable knowledge and experience you share with our new recruits.